live band hempstead ny - corporate entertainment, We also offer a full wedding orchestra. We transform the ordinary to extraordinary, producing music for PBS, Madison Square Garden, the Wallstreet Reserve Cut Restaurant, and everything in between, for entertainment they will never forget. We represent a variety of talented performers including Asher Laub, one of the most versatile classical and electric violinists in the NYC area. With over 2 decades of managing djs, live bands, breakdancers and celebrity performers we know how to make your special occasion memorable and exciting, whether it's a corporate event, wedding, concert, mitzvah, sweet16, fundraiser or special event. Did an excellent job, the evening was an success. Thank you Stephen! It was such an honor to be a part of your wedding! There are just times when words can't do justice, this is one of them. My wife and I contacted Asher to play for a small reception we were having at the union league cafe in new haven for our wedding. There are no speakers or sound system, Asher took care of it all, we didn't have to worry about one thing. His performance was beyond phenomenal, the choice in music was spot on, he enveloped the room with such grace, knew exactly when to walk around and play, what songs to play just based on the mood of the room. Had our 3 year old niece spinning circles around him all evening. Our family could not and have not stop commenting on Asher. It was just amazing to see the jaws drop when he switched to the glass violin. It was just stunning from top to bottom I can't thank him enough, he made the evening perfect, just over the top, it was literally magical, i felt like I was transported somewhere else. What an honor to play for a wonderful bride and groom! Thank you for the opportunity Derrek! Asher was truly amazing! We were so impressed! We’ve never had such an entertaining event with a musician, let alone a violinist, who could dance and play at the same time. We knew we were receiving something special because of the music video we had been shown but when we saw him in person, he truly blew us away! Everyone in our office is still marveling at his performance. I would highly recommend Fiddlers Dream Productions (and Asher) for a powerful and memorable corporate event. We had a great time entertaining the crowd! Thanks for the opportunity Kelly! Our guests were all very happy with the performance, great music, great songs, great flexibility. All at an affordable price. Highly recommended! Thank you so much Levi! Thank you for the opportunity and congratulations! Thank you so much for the review Marybeth! What a fun crowd! Grateful to Ashar playing at my wedding. Inspiration, blessed, honored to have him there. My family said," he was gifted." Thank you Ashar for blessing us with your presence. You were a hit, played latest up beat Spanish music, and my favorite, You raise me up/Josh Groban. You're very welcome Yesenia! What a beautiful wedding and couple! A really nice touch to have for a baby shower. Thank you Maria. It was our pleasure! Thank you for the review Dominick! Wishing you both many years of happiness! Once again, thanks for playing at my son's graduation party. My guests enjoyed the music. It was an A+ performance. You really made the event a memorable one. Many thanks! Thank you so much Asnath! It was an honor! Thank you Denise! Great meeting you! Slava, the violinist, played so beautifully it brought tears to my wife's eyes! Thank you! Thank you Francis for the opportunity to be a part of this! Many more blessings! You have expectations and most of the time, it's not met. Not the case here. Hope to have you play for us again. Thanks you Francisco! What a beautiful event and it was my pleasure! Was not only punctional but delivered an amazing performance which made our party an experience to remember. Would highly recommend his services. Thank you Ariel! It was our pleasure! Asher's performance was outstanding! Our guests were enthralled from the beginning until the end. His performance added a beautiful background to our holiday dinner. Couldn't ask for a better turn out! Thanks Asher! Than you so much Lupe! It was a real pleasure! Asher performed during the cocktail hour. I didn't get to experience his greatness first hand, but my guest raved about his performance. He played hip hop/pop on his violin which added to the cool vibe of my wedding. I can't wait to see the video! Thank you Sharee, what an honor it was to play your wedding! Asher was so great to work with and very accommodating with any last minute requests we had. I would highly reccomendation him due to his enormous talents and professionalism. I look forward to hiring him in the near future!!!! Thanks Asher. Your fiddle and electric violin were pure entertainment. The Doctor Who theme was perfect. The Birthday song was also great. I would recommend anyone looking for a fiddle/violin player to book with Fiddler Dream Productions. Thank you Christina! What an honor! Asher was awesome, he made my proposal turn into a real show. All the setting was great, he was there on time and always respond my requests. It was great to have him in this amazing day! Very professional... Beautiful event! So cheap compared to what you get! Thank you Leah! We are thrilled that you enjoyed the performance! Asher was absolutely amazing! His communication from beginning to end was exceptional. Our guests thoroughly enjoyed the performance, and we heard comments throughout the night about what a wonderful addition this is to any event. He really solidified the new year and the party! We would book him again in the future, for sure! Creme de la creme, thru and thru! Our violinist was easy to work with and that made the planning go well with the time line The Grove was managing. The guest that attended the wedding were very pleased of the selection chosen and most of all the quality of the performance. Our niece who was getting married was very pleased and stated how beautiful it went along with the theme of the wedding. Thank you so much Lorgia! We are so glad you were pleased with the music! My husband and I were recently honored at an organization’s annual Dinner. At first we felt uncomfortable obligating our guests to attend, but these feelings quickly disappeared when we saw how much fun our friends and family were having. Asher Laub and the band he assembled were a huge hit. Our guests were treated to a wide range of music played by talented musicians who were clearly having a great time. The performers’ enthusiasm was contagious, and it was wonderful seeing everyone having such an amazing time. Asher’s a perfect gentleman and a pleasure to work with. He’s a remarkable performer and his talent is a rare gift to witness. No matter what your musical taste, he will surpass your expectations! Fiddlers Dream Productions - A True Dream! The violinist and pianist worked in perfect harmony to produce amazing and joyful music of all genres. In particular, the violinist demonstrated singular and unique talent coupled with the ability to reach his audience - musically and emotionally. I was impressed beyond my greatest expectations. I can't wait to hear Fiddlers Dream Productions once again! Thank you for your review! We had a great time entertaining your guests! Asher is a very talented violinist and I would use him again for future events. His performance was everything I expected and more. Thank you Ian. Looking forward to working together with your company again! Best Entertainment Our Company Ever Hired! Fiddlers Dream Productions is the best entertainment that our company has ever hired! Asher did a phenomenal job! We wanted something sophisticated yet not stiff and we got just that! We couldn’t take our eyes off of his performance. His violin playing and dancing was such a delight to see and experience! He is actually better in person than on his videos. We are so pleased that we want to bring Asher back in the Spring for another event. His talent is remarkable and plays to a multi-generational audience. Asher is a wonderful musician that I highly recommend! We booked Asher for our Engagement Party of about 60 people after seeing him in action two weeks prior to our party. We could not be more pleased with both of his performances and highly recommend him for any occasion. Asher worked with us to play songs we that fit the style of the party we wanted, and every guest we spoke to said it was an excellent touch to be added to the party. As the father of the bride said "Asher added a flair of elegance that made the night truly special". We highly recommend Asher and assure you that you won't be disappointed once you book him!. Thank you so much Michael. I had a great time too! Asher played the violin by my proposal at the Brooklyn Bridge and it was amazing. My fiancé was balling when he played "My heart will go on." Thank you Asher. Best day ever! It was absolutely my pleasure Simon! Asher just played at my husband and my 10th anniversary tea reception at my church. Firstly, let me say Asher is ADORABLE and very personable and the folks at my church loved him!!! They spontaneously began to sing along while he played some of the songs and he interacted wonderfully with them. Secondly, he plays beautifully! Everything from classical, to standards, Celtic, Jazz. He really made my anniversary amazing!!!! Folks at my church are going to be taking about my anniversary for a long time (in a good way)! I was honored to play for such a beautiful community of thoughtful and wonderful people! Thank you Kelly! Super job last night. Guests we very impressed with your range and ability to get the party started with some fine fiddling. See you this afternoon for round 2! What a blast! Real energetic crowd and a pleasure working with you! It was an odd request - to have a fiddler play at a memorial service - but it was Sam's favorite music and brought his essence to everyone grieving. Asher put together a lovely rep - dignified and joyful. He arrived right on time - which helped relieve stress. I would recommend Asher for any event. If he can bring joy to a funeral - I know he can do anything. Music is powerful. Thank you Asher. I'm so glad you were pleased. It was my absolute pleasure! Thank you. These guys are unbelievable. I was a little skeptical in using their service but after witnessing their performance I couldn't be more satisfied. Their performance was astonishing. They also have a great taste in music. Best birthday party ever. Highly recommended. Our guests were thoroughly impressed with Asher's performance. His selection of music during the cocktail hour was quite tasteful and during dinner he just blew everyone away with those showpieces. It was a pleasure working with Fiddler's Dream and Asher Laub and we would highly recommend their services. Insurance: $1,000,000 - Fiddlers Dream Productions can provide liability insurance if the venue does not already. Asher often impresses guests with a clean, young and hip look, dressed in custom-fit suits complementing his uniquely designed glass electric violin. For cocktails Asher greets guests on the violin with his wireless strolling accompanied by high quality classical, broadway, celtic, bollywood, pop and disney backing tracks. During a concert he dances in sync with 2 other professional hip-hop back dancers supported by programmed stage lights. At a fundraising dinner he’ll often perform a number of show pieces on stage with youthful energy that engages the crowd. We are a unique entertainment group providing high-end musical services for a range of clients. Services include, but are not limited to live bands, strolling musicians, breakdancing performances, DJ and lighting services for weddings. 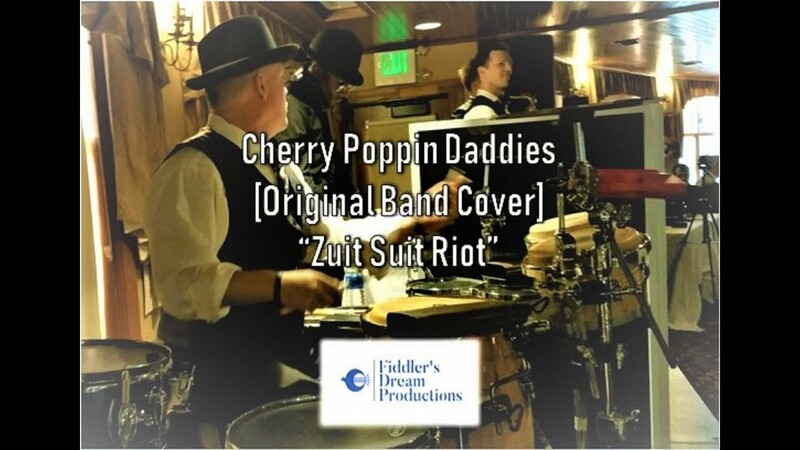 We have almost 2 decades of experience booking wedding musicians and musical entertainment for concerts, corporate fundraisers, private parties, mitzvahs, quinceaneras, sweet16s and other special occasions. We provide some of the most versatile djs, bands, and electric violinists that perform pop, rock, jazz, broadway, classical, jewish/Israeli music, bollywood and popular south asian tunes. 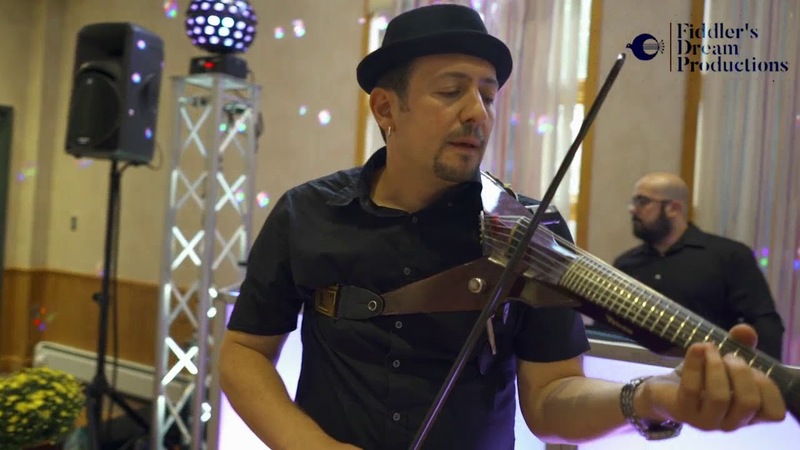 We offer pop string ensembles , LED violinists, dueling violinists, a dancing violinist, and dj violinists for corporate events, weddings, and other special occasions. Our live band dj hybrid features deejay with live saxophonist, trumpet, electric violinist, singers, percussionist, keyboardist and lighting for both corporate entertainment and wedding entertainment. Our disc jockey and lighting package includes dj, vertical trusses supporting dmx-controlled moving heads, uplights, a logo spot of your choice, and custom-monograms on LCD screens. Customers love our interactive dance motivators, wireless electronic violinist and dedicated MC who are all masters at keep guests on the dance floor! Our djs have thousands of tunes ready in any requested genre included top 40s, latin, salsa, rock, edm, house…you name it, we’ve got it! Our featured violinist, Asher, began classical violin training at the tender age of 2 and had already performed with the Buffalo philharmonic by age 13. Asher’s expertise in trans-genre improvisation has led him to a career as a soloist in demand, performing at venues such as Madison Square Garden, Hammerstein Hall, Lincoln Center, the Jacob Javitz Center and across four continents. Asher has also been featured on PBS, and has made headlines on CNN, WABC, NBC, and the New York Post among many other major news sources. 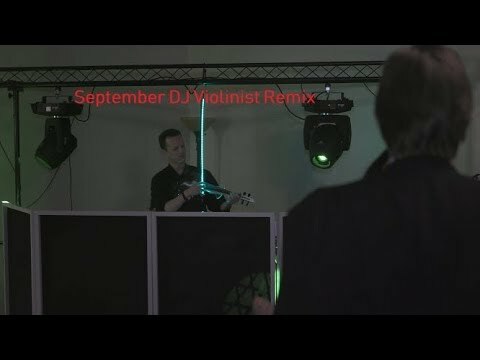 Asher performs with three state of the art violins - a traditional acoustic violin and 2 modern LED electric violins, both of which can be amplified. 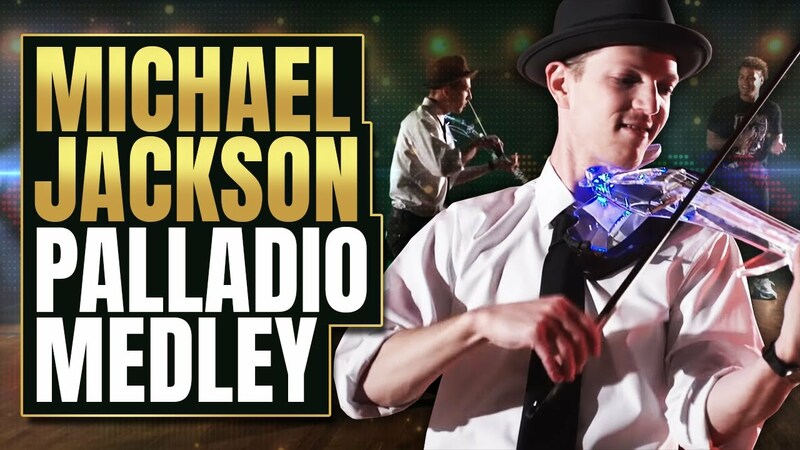 His performances are enhanced with custom-edited audio tracks a wireless unit for dance performances along with his world-class breakdancing crew. Check out the videos and enjoy! Asher also uniquely performs as a DJ violinist bringing his experience as a live performer and technical prowess as an audio editing and mixing guru to countless clubs and stages across the country. Asher typically performs with both state of the art classical acoustic and glass electric violins. He has a sure wireless setup to stroll around the room in addition to a very high end acoustic amplifier. He can also provide a sound system for larger venues (250+ guests) for a 120$ fee. Plugging into any DJ, one-man-band or sound company is frequently and easily done for further amplification. Asher began taking classical violin lessons at the tender age of 2, performed with the Buffalo Philharmonic as a teenager and soon-after began to master jazz, bluegrass, Middle Eastern and other styles. His musical versatility got him noticed by major producers in NY and LA where he continues to push the boundaries of musical convention.